Sunday we had some time to kill as our flight out of Estonia didn’t leave until the evening. We went for a long walk around Tallinn and ended up at the Pirita Beach, just outside the city. 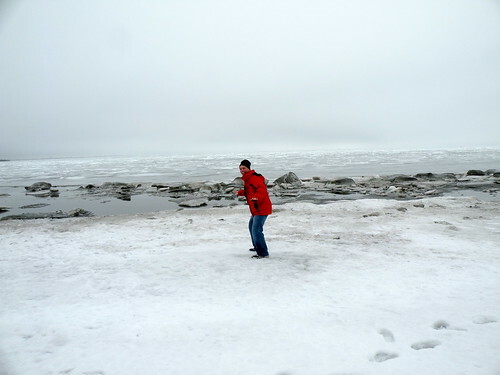 As you can see, the Baltic Sea in mid-March is not quite ready for a picnic. Tallinn is 59 degrees north. 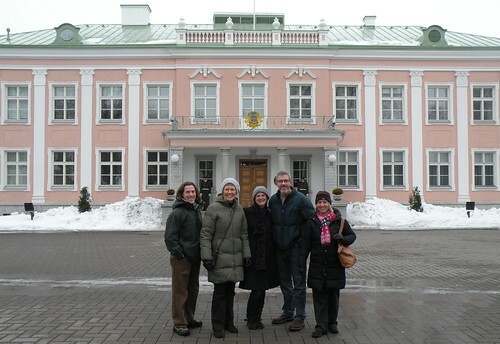 We had a nice time in Estonia. It was off the beaten path and I got to know a little known place in the world. The Estonians are very similar to the Finns and I think since there are only around 1 million of them, they develop some stronger ties to Finland. They have some definite animosity towards the Russians. We noticed this when we went souvenir shopping. I was looking for “babushkas”, those Russian dolls that have small ones inside each other. The Estonian gift shop vendor pointed out that those were Russian and not Estonian. The Russians had a market outside the Old Town and they were pushed out of the nice areas. I guess after the Russians occupied Estonia, there is still resentment. I wonder how the Russians living in Estonia get along in their daily lives. Do they learn Estonian? I am not sure if I’ll ever get back there. It would be a nice place to live, although the long winters would be tough.